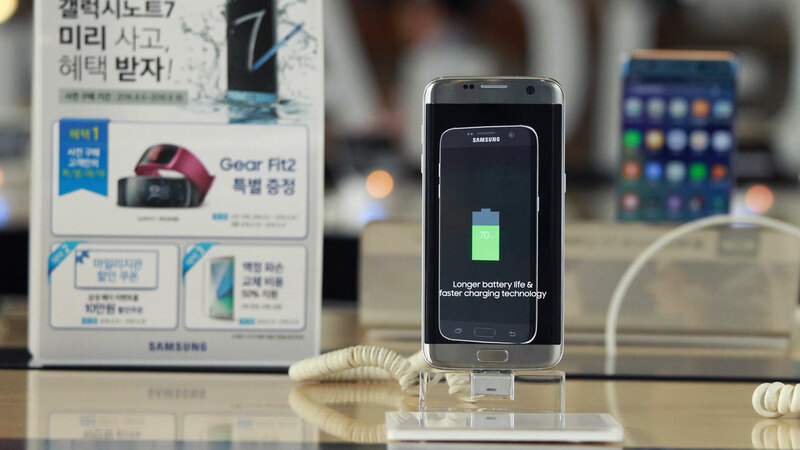 SEOUL, South Korea -- South Korea's Yonhap news agency says that Samsung Electronics has temporarily halted production of Galaxy Note 7 smartphones. Citing an unnamed official at a Samsung supplier on Monday, Yonhap reported that the tech giant took the unprecedented measure for consumer safety. The move comes after reports that Samsung's replacement devices had caught fire. The Note 7 recall and Samsung's handling of incidents have left the company facing its biggest crisis in years. Samsung seemed to have the trouble under control but consumers started to report that the new Note 7, which replaced the recalled hazardous Note 7, also began to catch fire. Last week, authorities had to evacuate a Southwest Airlines flight when a replacement phone began emitting smoke. Samsung Electronics did not respond to a request seeking confirmation.